"I was eating clean & Paleo & actually gained weight.. until I did this..."
Have you ever had a food and just felt "off" after? Bloated, gassy, or just uncomfortable. Or you are eating all the right foods but nothing changes for you? About 5 months ago, we partnered with Everlywell to bring you at home Food Sensitivity & Hormone Testing (everlywell.com). Everlywell is an innovative company (much like us) and brings you modern lab testing at your fingertips. Every person is different, and even some healthy foods can be reactive to an individual. Sure, you can do an elimination diet (which we love) but isn't it just way better to see results on paper? 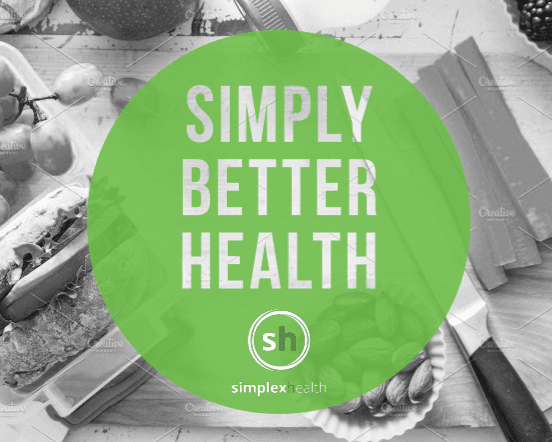 Our Dietitians are more than equipped to help you implement results! "When my husband started Paleo, we decided to do it together. I watched as he started to shed pounds and feel amazing as I became oddly distended and overly bloated in my stomach area. I actually gained weight and went from 105 to 115 lbs. at my 5'1'' frame. I was beginning to hate how I felt in my clothes but because we were eating so "clean" we assumed it was hormonal, cycle related as I got older and the fact I had that i had stopped exercising as much after my 2nd child. (currently 32 years old and this went on for 3 years). In comes Everlywell at the recommendation of Simplex Health and I find I'm highly reactive to eggs, a powerhouse food we had been consuming regularly having adopted a Paleo diet. Through qualifying insurance, if you work with our Dietitians, we will further reduce the price of 1 test for you! We fully believe in this product and the power of food! Contact us to learn more! Every person and every body is different, so eggs may be one person's high reactive while dairy may be another. Testing and figuring out the best foods for your health system are taking steps in the right direction!